Shield transfers by Little Big Men Studios. 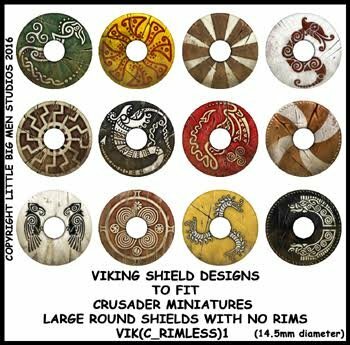 Designed for Crusader Miniatures Viking range. These fit best on the shields without a rim.